Timofey Yuriev and his golden retriever were captured on video rescuing two dogs that had fallen through ice in Irvington, New York. (Melissa Kho, Timofey Yuriev/CVJTF Group). 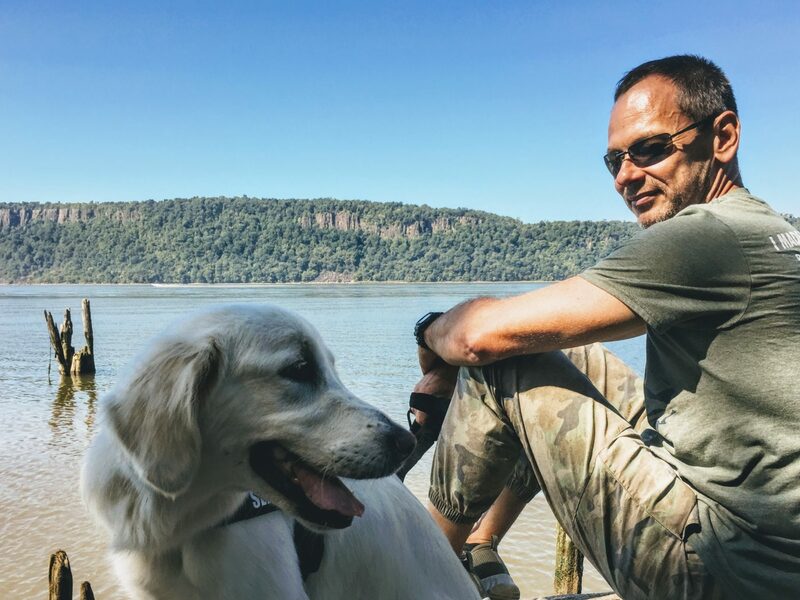 Timofey Yuriev and his golden retriever, Kira, were captured on video rescuing two drowning dogs that had fallen through a frozen lake in Irvington, New York. And thankfully for the stranded pups, Yuriev happens to be a cold water diver. “I grew up with a lot of dogs and other animals, and for something like this to happen in front of our eyes, that would be a terrible tragedy, especially when I knew that I'm OK with the cold water,” he tells Here & Now’s Robin Young. Yuriev grew up in Kazakhstan on a nuclear military base. His mother, a scientist, practiced cold water exposure — which he and his wife, Melissa Kho, also practice twice a week in the Hudson River. “Every day we wake up with a cold shower, and we do breath work. That’s what allows this kind of cold exposure for us,” he says. So Yuriev didn’t have to think twice about diving in to help the two golden retrievers treading water for their lives in the lake. 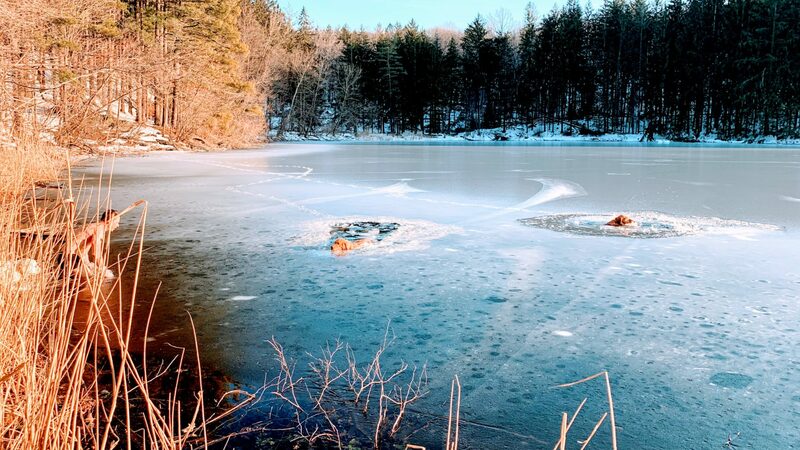 He broke through ice — and says he would have swam under the ice if he couldn’t break it — in order to reach the dogs, which he says were stuck about 30 or 40 feet from the shore. And Yuriev wasn’t alone during the daring dive. His dog, Kira, joined the rescue efforts. “She’s always with us, and when we go training with my wife, she’s always swimming up in the ice,” he says. Timofey Yuriev and his golden retriever. (Melissa Kho, Timofey Yuriev/CVJTF Group). 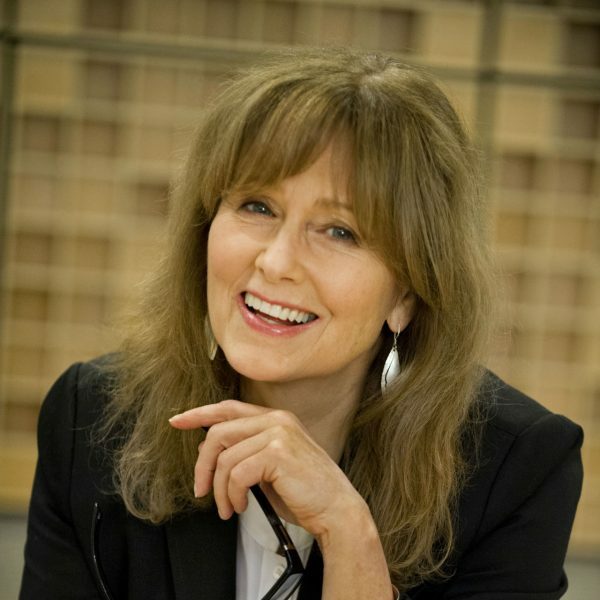 Marcelle Hutchins produced and edited this interview for broadcast with Mark Navin. Serena McMahon adapted it for the web.